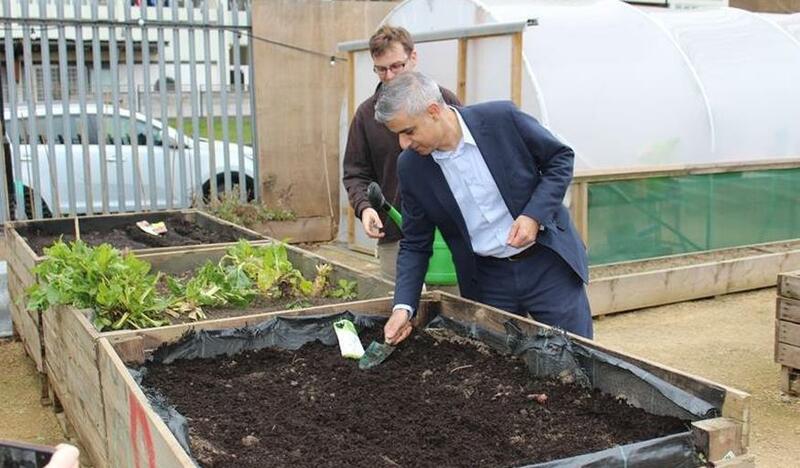 Sadiq Khan, planting what's probably a metaphor. 5 May will be here before you know it. Or maybe it can't come soon enough for you. Either way, here's a quick round-up of what's been happening this week in the battle to be Mayor of London. Sadiq Khan's been pointing out that the government has only given London half the money it needs to build Crossrail 2, and asking his party leader to please shut up talking about how northern England should get better rail links before the capital. It's not been a great week for Zac Goldsmith. He was dropped as patron of a disability charity after voting for disability payment cuts, ended up hiding from protesters and was found accusing Sadiq Khan of being after the family jewels. 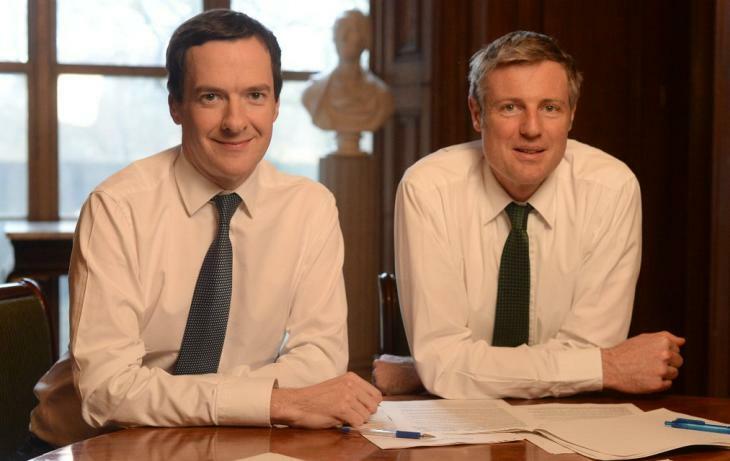 George Osborne and Zac Goldsmith, just chilling out with some budget figures. Sian Berry and Caroline Pidgeon are so far the only candidates to sign up to the London Cycling Campaign's Sign for Cycling agenda. Clean Air in London has been ranking the candidates' air quality policies: Sian Berry gets 10/10, Caroline Pidgeon gets 8/10, Sadiq Khan gets 6/10 and Zac Goldsmith gets 3/10. These scores are fluid and may change depending on future announcements. And if you missed it, here's our in-depth interview with Caroline Pidgeon. We're noticing an annoying trend in mayoral debates: namely, that Sadiq Khan and Zac Goldsmith can't always be bothered to turn up, sending substitutes instead. Guys: if you want to be Mayor of London, it takes quite a bit of time out of your day. You might as well prepare for that by putting in a few evenings. There is another possible* explanation of course: that one of the Labour and Conservative candidates can't/doesn't want to come, and the other won't show without his main opponent. Almost as if talking to Londoners was less important than a show of political dickswinging. *Actually happening, according to some hustings organisers we've spoken to. While out canvassing for the election, Shadow Health Secretary and Lewisham East MP Heidi Alexander spent some time buttering up a non-voter. What next? Squirrels for Sian? Zonkeys for Zac? And surely pigeons for Pidgeon?